The opportunity is for you to get ahead of the learning curve. At Decisive Minds we are dedicated to bringing you the programs that will help you stay up to date. These amazing products were created to not just show you what to do, but show you how to do it as well. You’re implementing the “Social Media Secrets”, you’re connecting with people and You’re Still Not Making Any $$$. The problem is that you don’t have all the pieces of the strategy. That’s why I put together the Social Media Success Bundle. 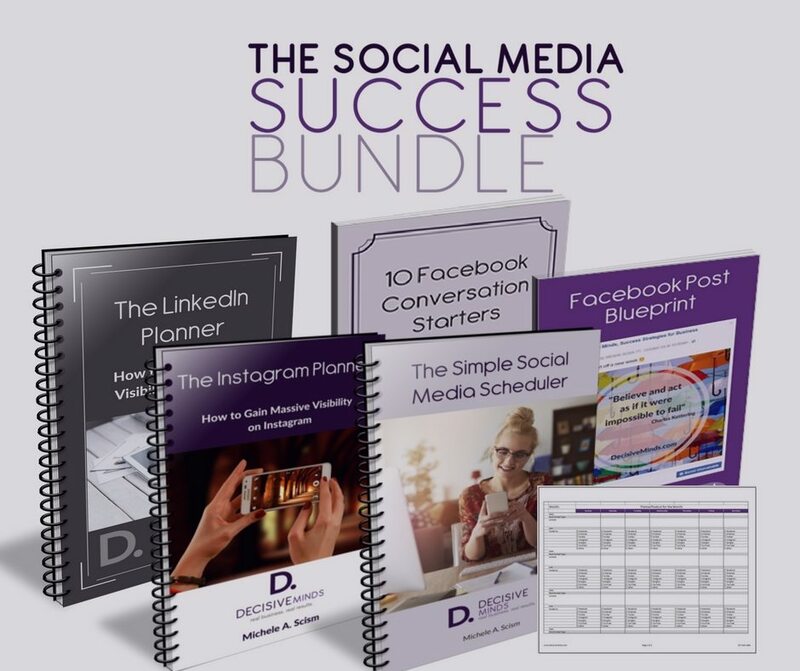 Bonus: 10 Facebook Conversation Starters, 13 Master Checklists for Online Businesses and 50 Website Must Haves to Attract High Paying Clients! 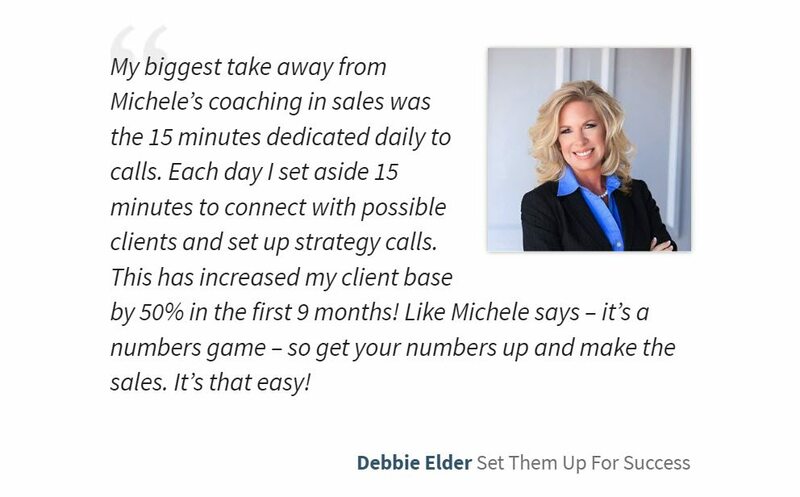 During The Business Building Boot Camp I taught entrepreneurs, just like you, how to implement the Decisive Minds Method to help you create more sales and revenue in your business! Imagine having a business that consistently makes money and is making a huge difference in the lives of your clients. At the same time it allows you to be able to spend time with your family and have the free time to travel or garden or relax. That is possible if you have a systematic and complete plan to bring clients and cash flow into your business, and are not having to worry about getting the next customer in the door. Make more money with a focused plan that’s easy to implement. Get clear on 3 simple visibility strategies that will get you noticed by potential new clients. Close more sales by giving clients exactly what they want. Do you have an idea for an information product but you can’t seem to get it out of your head? What if in the next 30 days you could not only create your product but also get paid to create it? Imagine creating something once, setting it up so that you never have to touch it again and it brings you revenue month after month, year after year. Plus, as a bonus, we will promote your new product if you complete it within 30 days of purchasing the program and it is appropriate for our audience and much much more. If you are like the majority of small business owners you didn’t start your business because you couldn’t wait to sell. You are doing everything you can think of to meet your potential new client. You finally get someone to pay attention and book an appointment with you and then the real dread kicks in. You are going to have to actually ask for money. They are going to give you every excuse as to why they can’t hire you. “If I could only get them to see the value in what I offer” you think. Sound familiar? Learn how conversion works in your business. Once and for all develop a follow up sequence that works. Learn how to transition from a normal conversation into making the actual offer. Design an actual sales conversation from beginning to end. You will also receive a bonus training on how to create your product funnel and how to know what to sell your prospect.